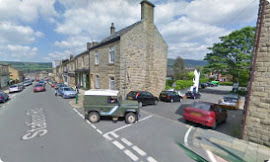 The Craft Barn Hadfield: We're in "Glossop Life"! 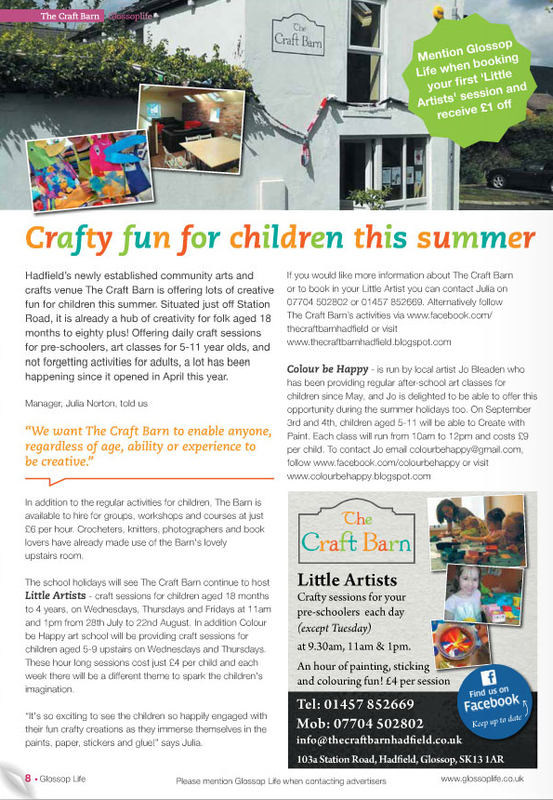 Fantastic piece about The Craft Barn in 'Glossop Life' magazine! 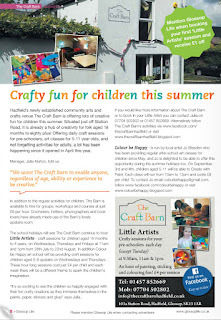 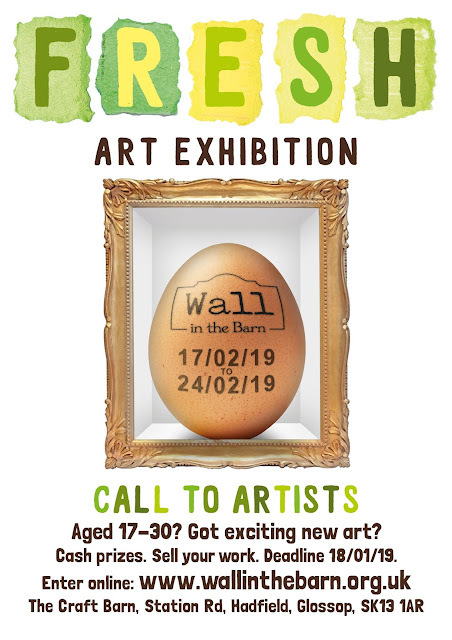 "...Hadfield's newly established community arts and crafts venue The craft Barn is offering lots of creative fun for children this Summer..."